How to create jagged or spiked balloons. 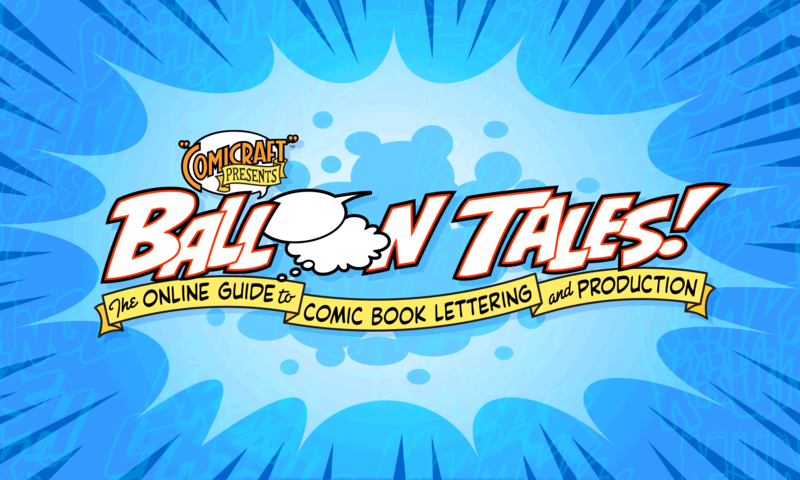 After you’ve mastered the standard Standard word balloon, you can move onto creating more complicated balloon styles. At Comicraft, we use Adobe Illustrator to letter comic books, and the instructions below are for Illustrator. One way of suggesting “loud” speech is to make a “jagged” style balloon. These are especially useful for single words or expressions where you want it to appear like it’s really “bursting” out of the person’s mouth. 1. Draw a regular balloon and tail, but don’t Unite them. Then select the balloon and make it into a Guide (Command-5). 2. Get the Pen tool and click on one end of the tail. Then click points around the balloon guide to form a jagged outline. Alternating big and small spikes will give your it a nice randomness. 3. After finishing the Jagged Balloon shape, “Create Outlines” on the word, and enlarge and move the letters around to give the word more bounce. 4. Then go back and adjust the points of the balloon to better contain the word shape. Don’t worry if your balloon doesn’t immediately look right. These take lots of practice, and the great thing about Illustrator is that you can keep on adjusting until it looks right. Just like a tail, the spikes of a jagged balloon should appear to be radiating from the center of the balloon. The tail itself should be the longest spike.